A Web Developer is responsible for the design, layout and coding of Internet websites and webpages, which often combine text with sounds, pictures, graphics and video-clips. Their work can also involve the maintenance and updating of existing websites. 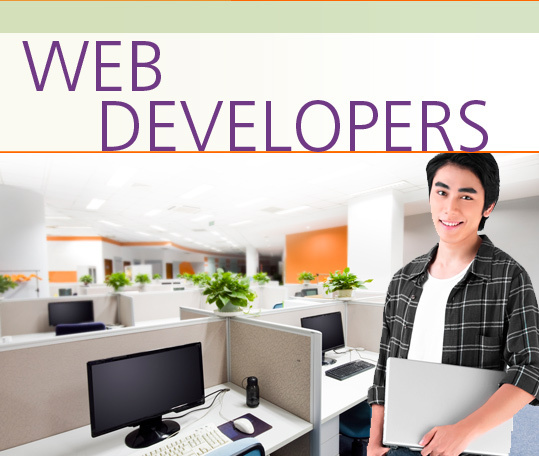 In the Web Developers Career Extension, students learn how to interview for a job and discuss their education, training and work experience. They learn about job responsibilities and work conditions, and discuss equipment and supplies. They talk about website features, clients’ preferences, new and ongoing projects, website features and search parameters. They learn how to deal with feedback from both clients and superiors and talk about their strengths, weaknesses and goals for the future.